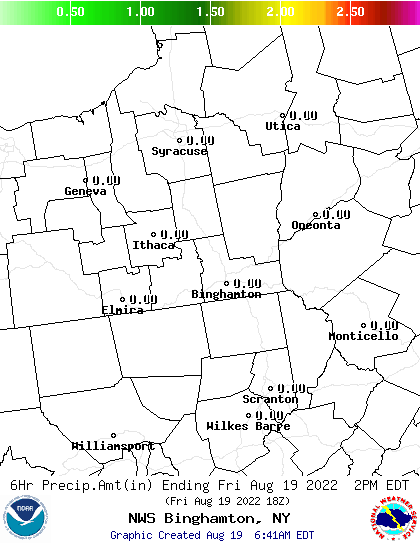 The National Weather Service in Binghamton NY publishes quality weather data, forecasts, maps, watches and advisories. This page is designed as a portal for skiers to access to this data. The NWS BGM county warning area includes several important ski areas that are in central New York including Greek Peak, Labrador, Toggenburg, Song Mountain and Plattekill. 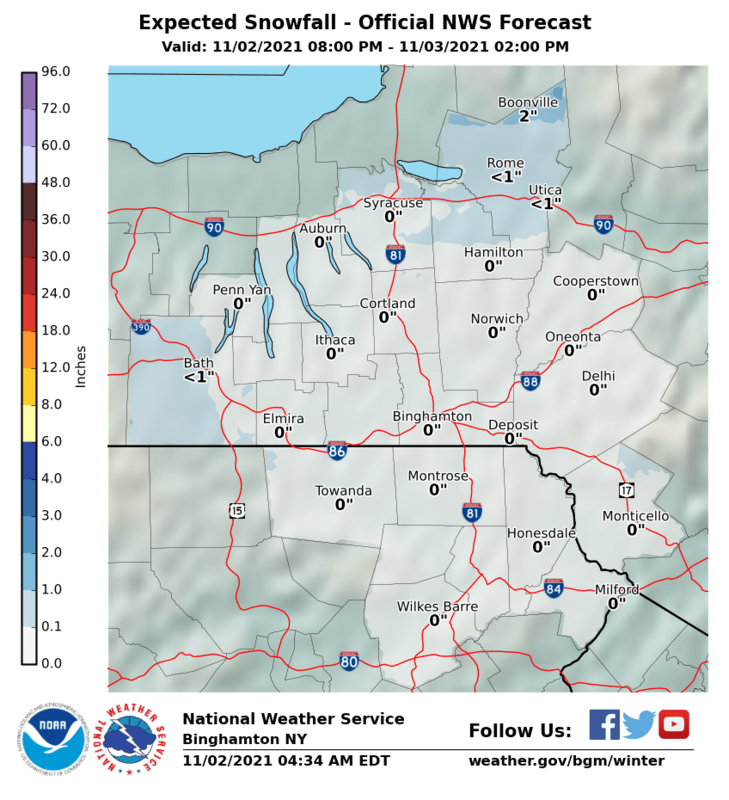 We’ve added the NWS BGM point forecast map, radar, snowfall forecast, short and longer-term temperature and precipitation forecasts, a link to the BGM forecast discussion, and webcams and ski reports from central New York. Directly below is the medium-term forecast for BGM zone, click thumbnails to enlarge maps.